He auditioned for the role of Nick Young! 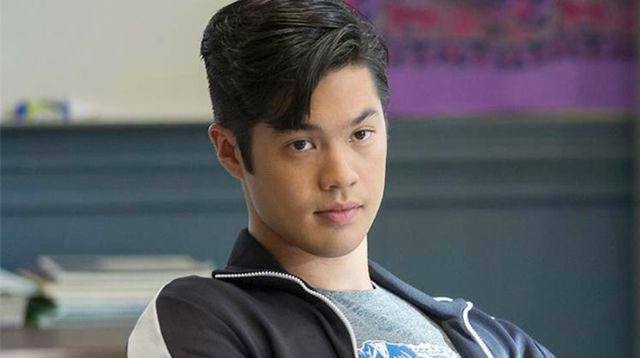 Ask us for a list of Asian heartthrobs in Hollywood and the name Ross Butler would definitely be up there. In fact, did you know that the 28-year-old actor even auditioned for a role in Crazy Rich Asians? And not just any role, FYI—Ross actually read for the part of Nicholas Young a.k.a. the much-anticipated film’s dreamy, dashing leading man. Ross didn’t land the part, which by now everyone already knows. British-Malaysian actor Henry Golding bagged the role of Nick instead (and don’t get us wrong—he’s perfect for the job!). But just out of sheer curiosity, don’t you want to know what went wrong during his audition? “I think I was just too young,” Ross reveals in an interview with Vulture. “I mean, I was still playing a teenager so I can’t be a professor at a college. I don’t think I was anywhere close [to being cast] because I was still playing a 16-year-old,” he adds, pertaining to his role as Zach in Netflix’s widely popular series 13 Reasons Why, in which he plays a high school student. Still, we would’ve loved to see you in it, Ross! Maybe in the sequel?